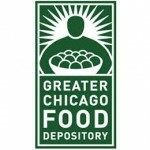 At the February 26th business meeting, the CALL Community Service Committee will be collecting food and monetary donations to benefit the Greater Chicago Food Depository. The Food Depository assists more than 800,000 adults and children in Cook County every year through a network of 650 pantries, soup kitchens and shelters. Please bring to the meeting any nonperishable canned and packaged foods (no glass) that have yet to expire. Some of the most-needed items are: peanut butter, canned fruit, canned vegetables, cereal, chili, jelly, macaroni and cheese, pasta, pasta sauce, rice, shelf-stable milk, soup, stew, canned beans and tuna.